Having messed around with my RFu uploading simple sketches to send serial data I really need to start prototyping with it. The board Ciseco sell for this is pretty much bare. Tonight I've added a breadboard and headers so I can start messing around. 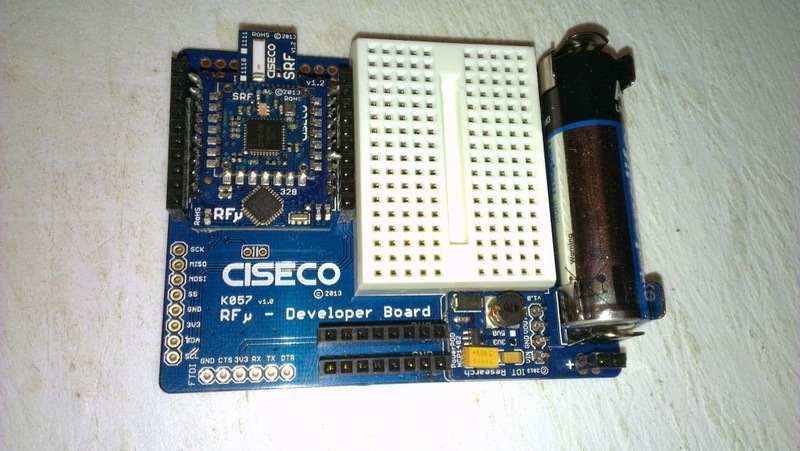 First up I think will work on a wireless PIR detector. Basic stuff but I want to work with LLAP a bit so it is 'smart'. This means learning an LLAP address from the hub and storing it in EEPROM, turning power to the PIR detector off and on, being able to sleep for a set amount of time, warn when the battery is going flat and so on. Stuff that should be the foundation for making a network of these things that is controllable and robust rather than just something that blasts data over serial.